So many words! Just look at any Dictionary. How can I learn all those new words? It’s often overwhelming when you begin to study a language. I’d like to take away that overwhelmed feeling and give you a few simple strategies for developing vocabulary and retaining vocabulary. less in the Oxford Unabridged? An article by Benny Lewis points out, “in English just 300 words make up 65% of all written material. We use those words a lot, and that’s the case in every other language as well.” In his book, Fluent Forever, Gabriel Wyner suggests building a vocabulary of 625 words which are used frequently in all languages. Cognates, or “true friends,” are words that sound similar in two different languages and carry the same meaning. For example, without doing any study, how many of these Spanish words do you understand? Many of the words you need to learn are cognates, just like this list. These words are easy to master and dramatically lower the learning curve for acquiring new vocabulary. To thoroughly learn a new word, you need to be able to recall the sound of the word, how it’s spelled, and what it means: three pieces of data. Now, let’s add one more piece: you need a connection or mnemonic device, something that holds the other three pieces together, and that connection needs to be memorable. The best mnemonics are often humorous pictures. For example, the Hebrew root yšb means “to sit, stay, remain.” I imagined yellow shore beetles. You couldn’t get rid of them. The picture in my mind was like Bill Murray in Caddy Shack trying to exterminate the gophers. Years later, I’ve never forgot that word. You don’t learn best by just repeating words over and over. Studies have found that spaced repetition dramatically eases the learning process. That is, you look at a word and its meaning. Then you recall them a few seconds later, then a few minutes later, and gradually increase those intervals. 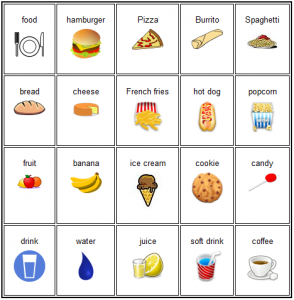 Several online flashcard apps, like Byki and Anki, are available which automate this process. It will also speed the process if you use pictures to recall what a word means instead of always translating into your preferred language. These are a few of the ideas I (and many others) have found helpful in learning and retaining vocabulary in a new language. I’d welcome your comments and questions below. I really find this post very interesting. The fact that only with about 600 words we can build up 65% of our common language, blew my mind away! Taking that into perspective there is no excuse to go for it and learn a second or maybe a third language. Thanks again for a highly informative post. The realization that a small number of words make up such a large part of what we say was surprising to me as well … and encouraging! There is a process to follow which I describe on my home page. Basically what I suggest is moving from sounds, to words, to chunks (phrases), to understanding grammar, and finally continued practice. I also mention a number of learning tools and courses here, which I will be reviewing in the days ahead. I appreciate your interest. Thank you, David, for your very interesting article. I find it quite challenging to pick up a new language as an adult. Adults are sometimes too afraid to make a mistake or to pronounce words wrong. I have found that it is best to pick up a new language as a child. A child’s brain is like a sponge. They absorb everything so much quicker than Adults English is my second language, and I can’t get rid of my German accent. The most helpful part of learning English was reading, writing and speaking, speaking, speaking. Thanks again for your informative article. You’re welcome! For many of us, it is not easy at all — especially if we are afraid to make mistakes. It’s our fear that holds us back. Here are some vocabulary tools I have found helpful. I am very interested in the English language. There are so many words and it is surprising that we only use typically use 300 words. I would like to expand my vocabulary. I feel it is important to me, hey I like learning and why not, it keeps the mind fresh. Learning a word through mnemonics is interesting. I will have to look into that more. Thank you for an informative and interesting post. I’m glad you found the article helpful. The English language is indeed very wealthy terms of available vocabulary. One word of clarification: We typically use far more than 300 words; however, 300 words are used so frequently that they make up — on average — ~65% of written communication. Those words are very important for communication, but not really sufficient. The better your vocabulary, the more clearly and specifically you can express your ideas.